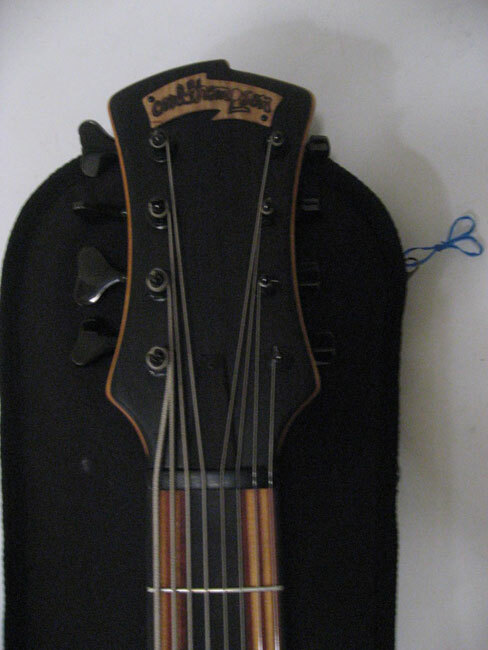 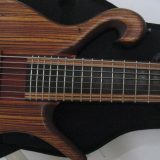 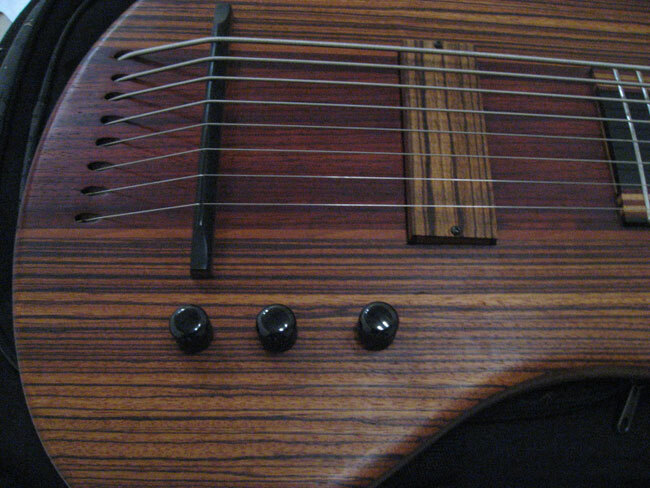 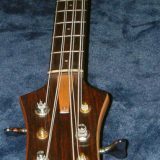 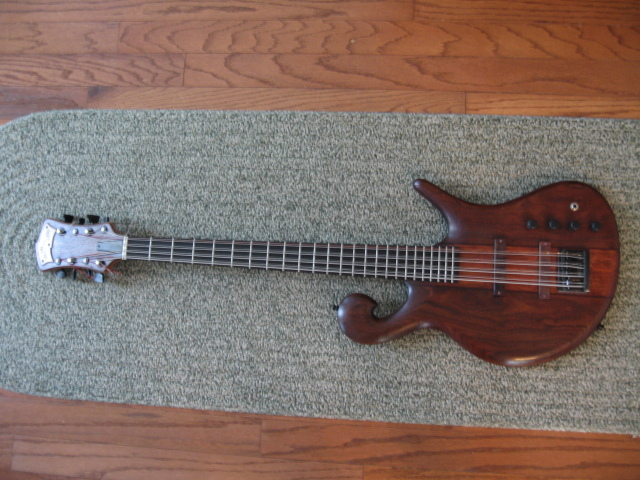 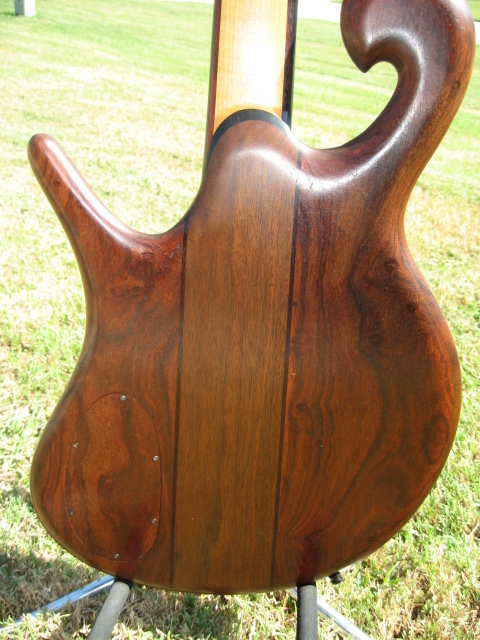 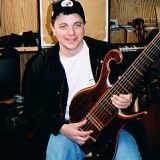 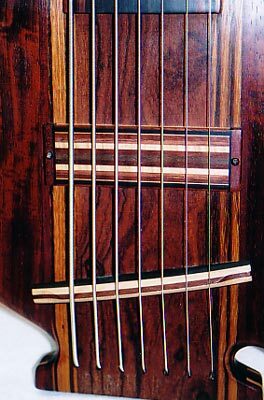 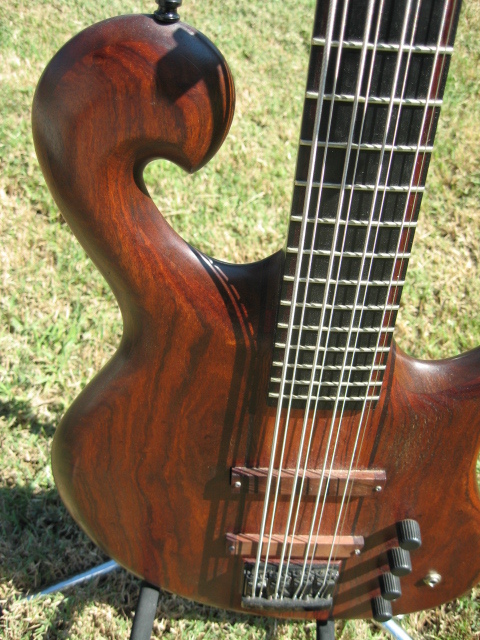 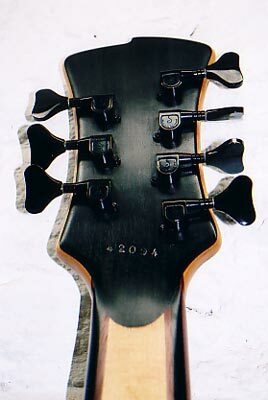 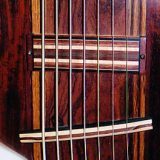 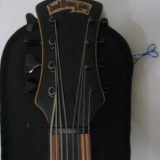 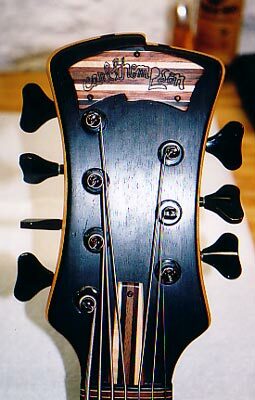 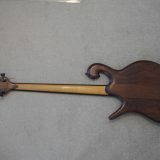 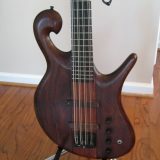 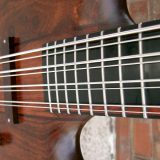 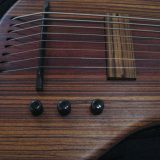 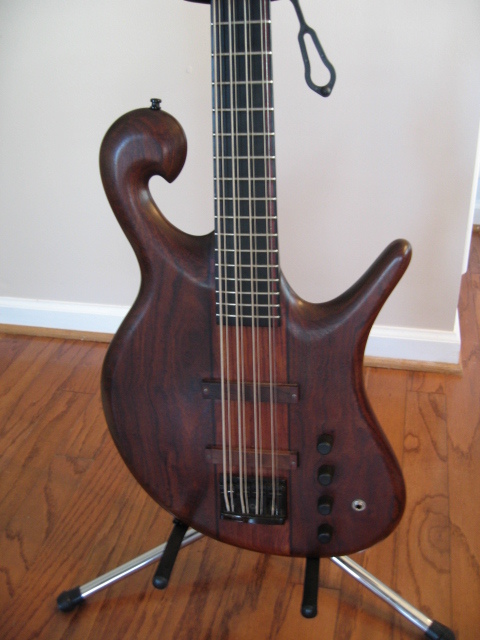 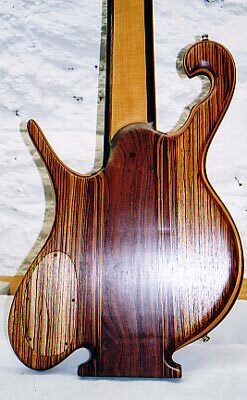 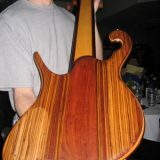 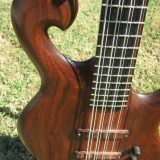 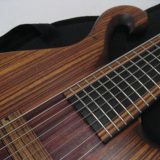 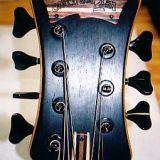 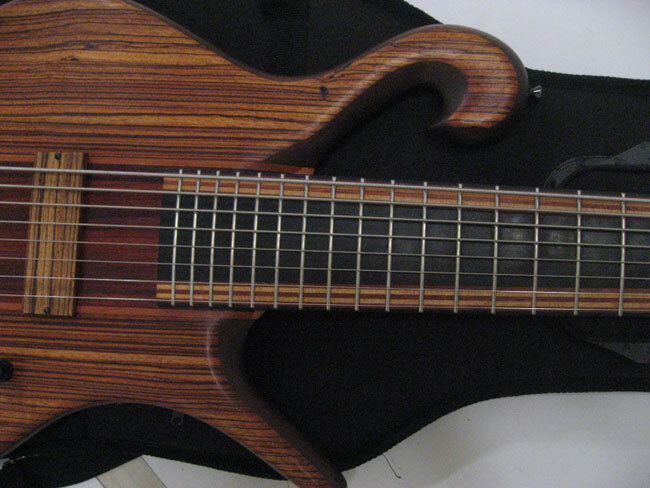 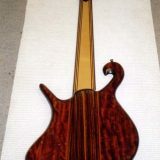 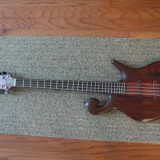 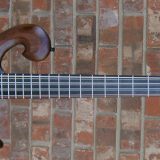 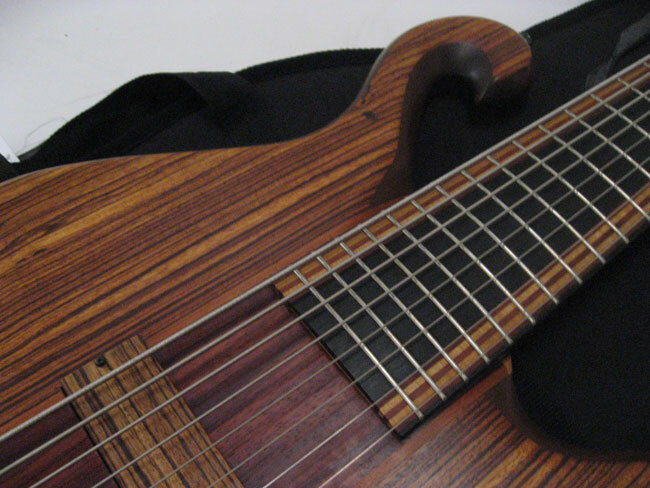 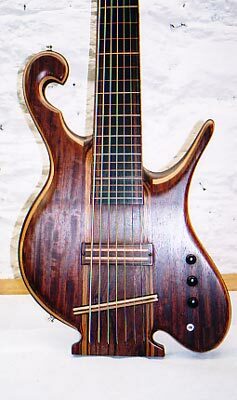 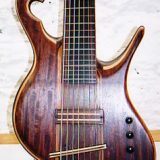 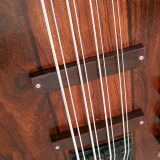 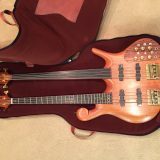 The one and only 7-string fretless bass, serial number 4-20-94. 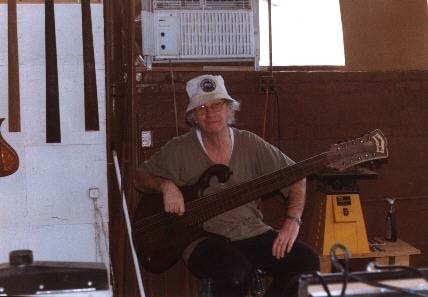 Brian is pictured. 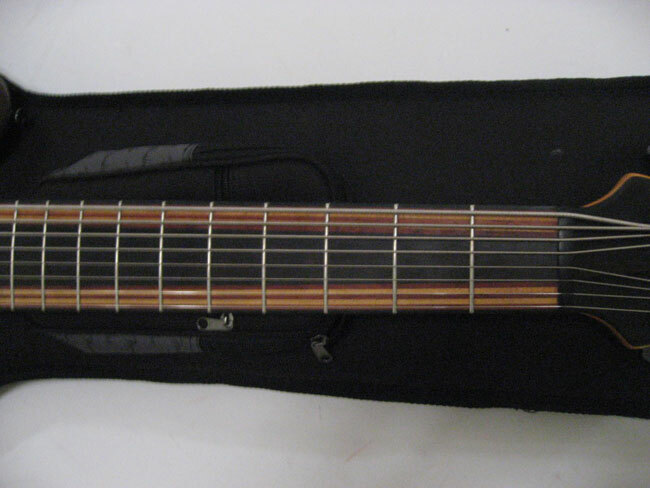 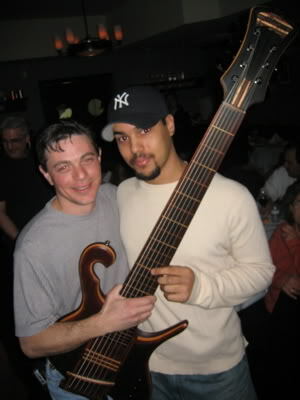 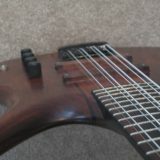 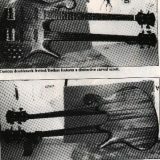 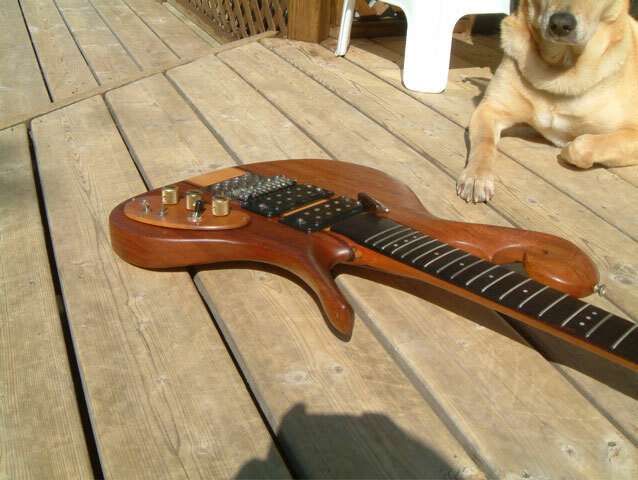 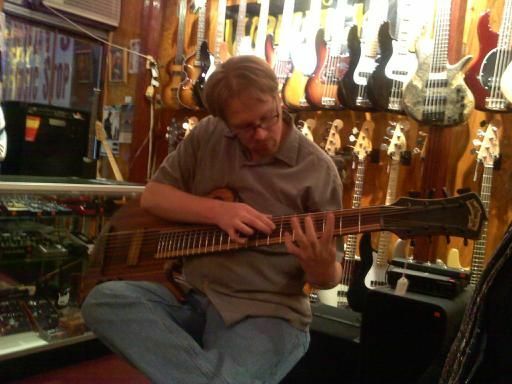 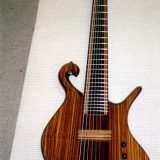 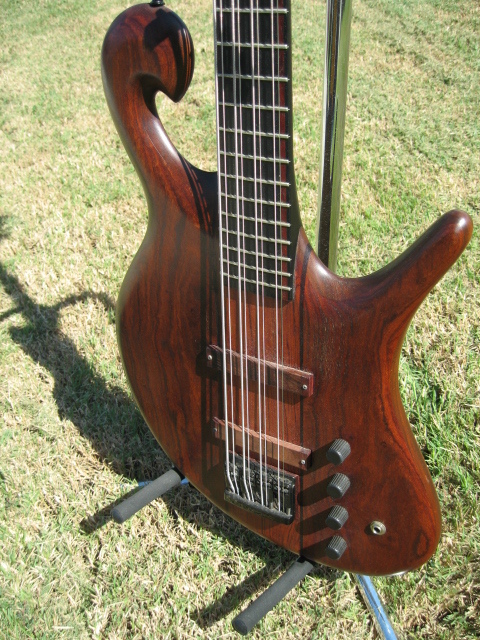 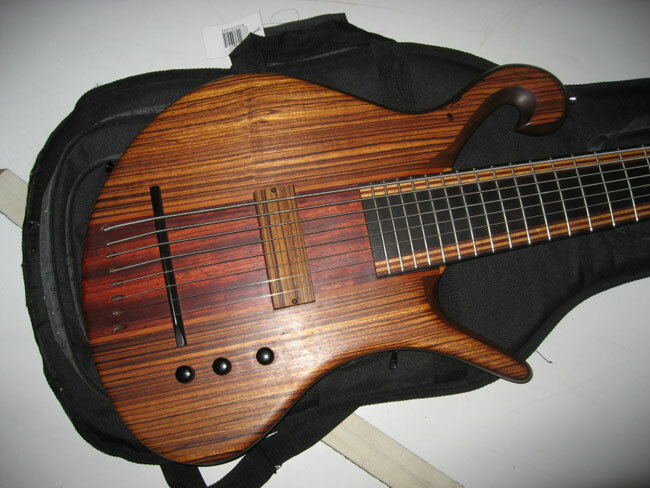 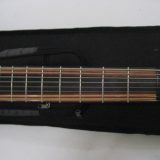 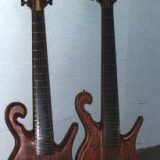 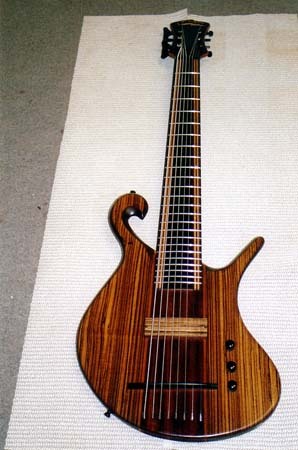 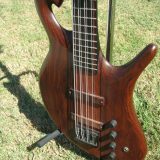 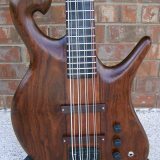 This 8 string bass is owned by a gentleman named Shahzad, who also owns a very rare 1977 Carl Thompson guitar. 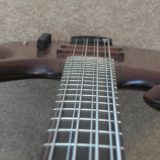 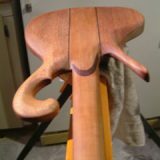 This instrument is tuned B E A D G C F Bflat. 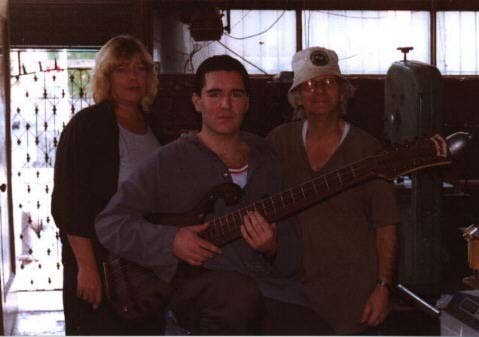 Also pictured is Clint playing the bass. 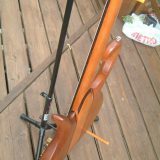 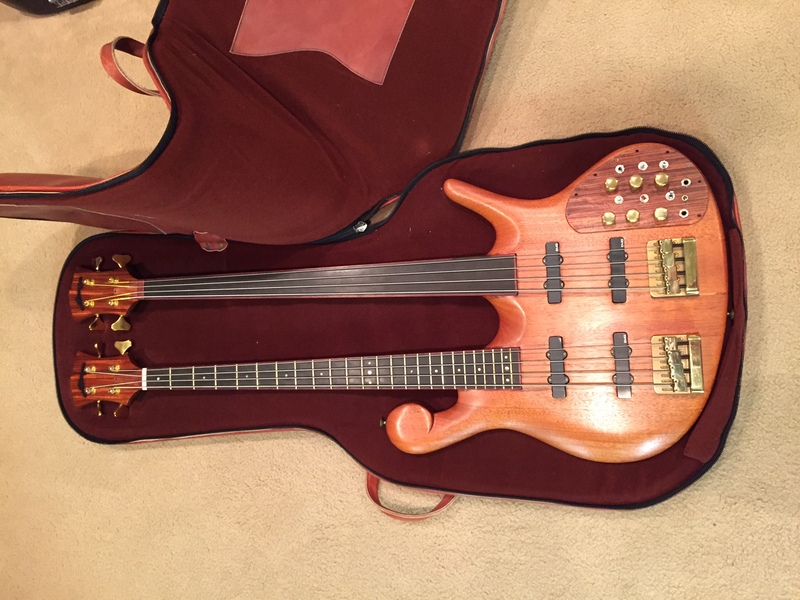 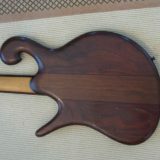 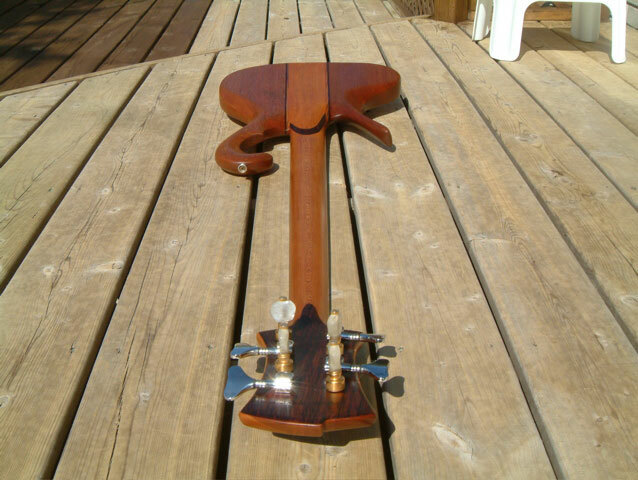 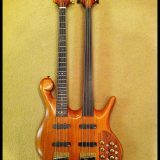 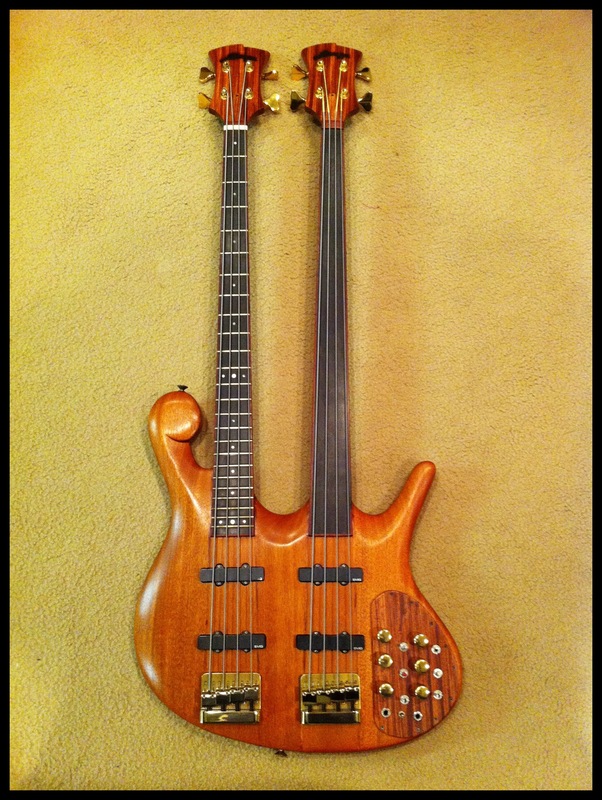 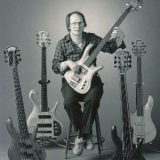 The one and only Carl Thompson double bass guitar, serial number 11-30-84, made for Craig Nelson. 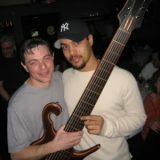 Pictures are Mike Parisi and Dave Moore. 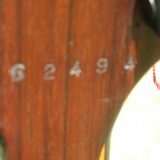 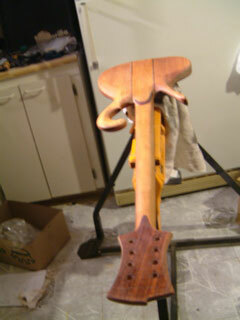 Craig Nelson shared updated photos, as well pictures of his other CT, 2-28-80. 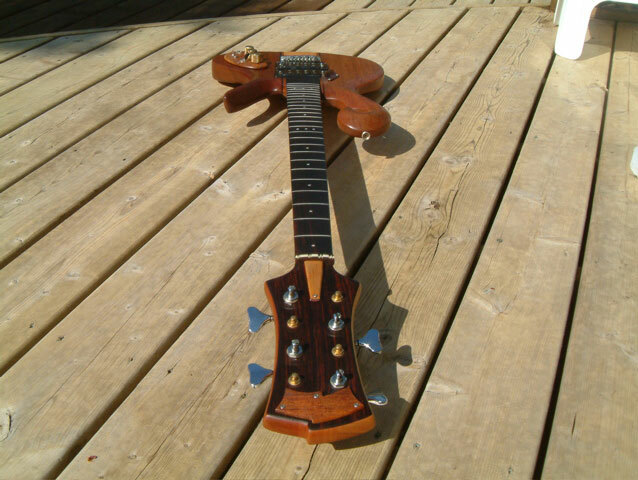 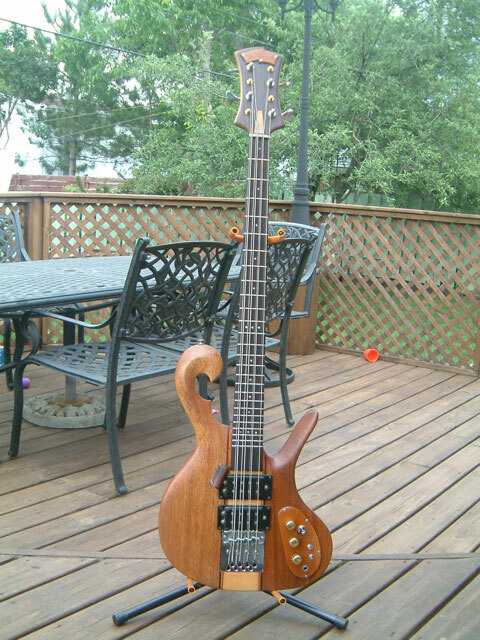 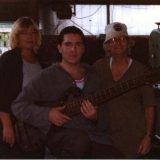 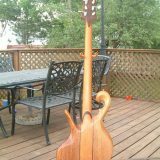 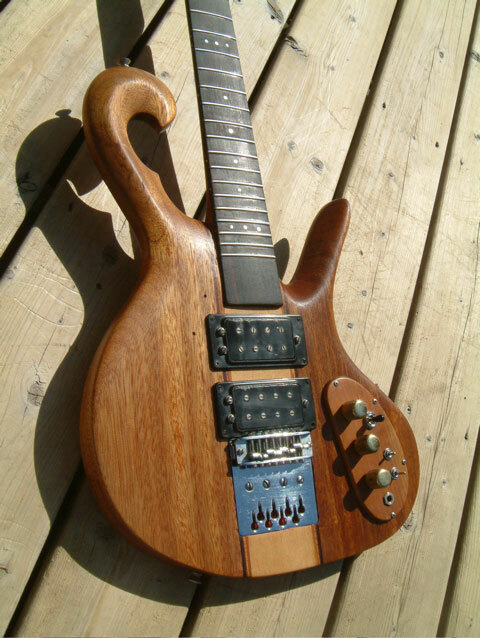 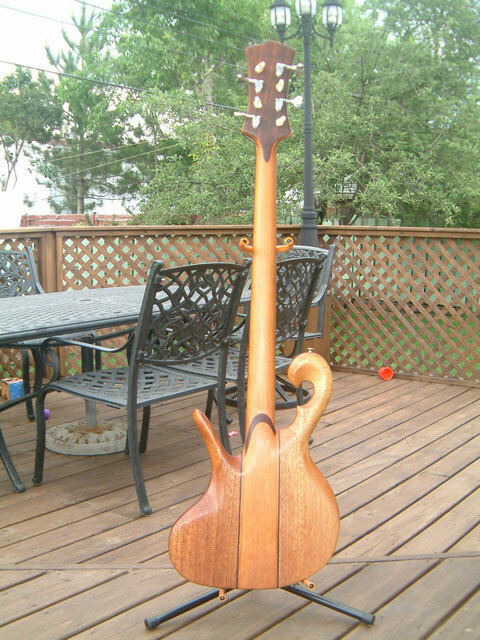 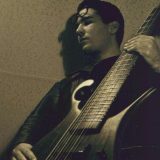 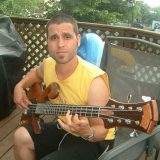 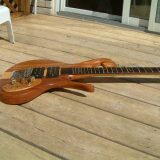 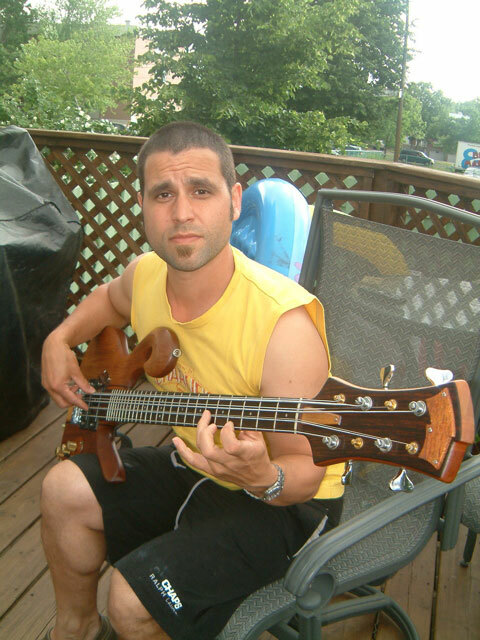 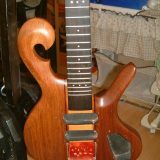 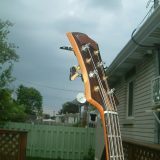 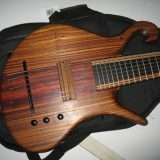 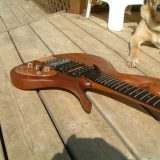 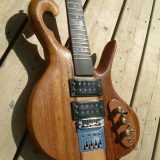 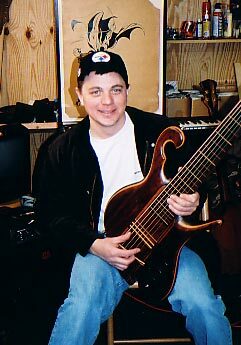 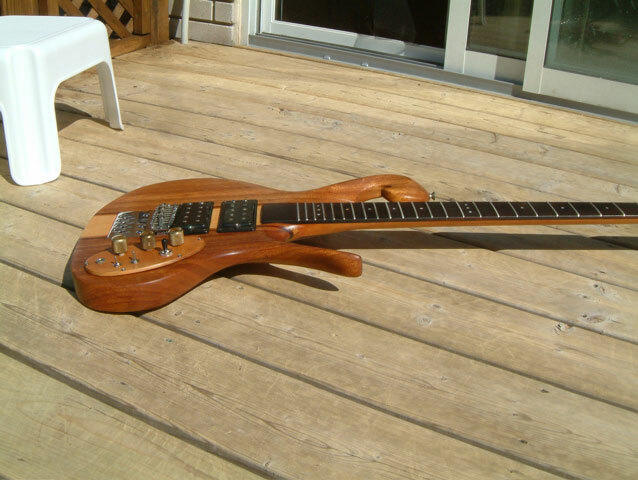 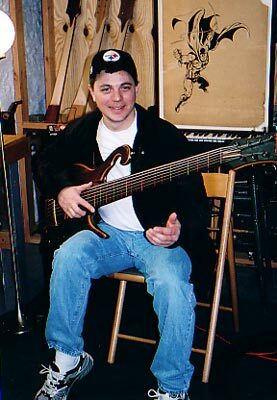 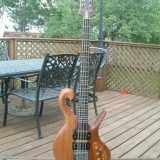 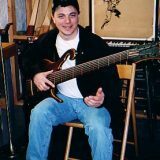 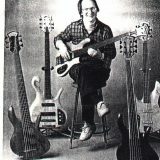 This octave 8-string bass, serial # 3-27-78, was purchased by David in Montreal some 20 years ago for $400. 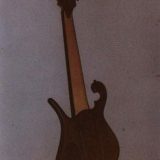 The nameplate had been painted black and the store owner thought the bass was a LADO. 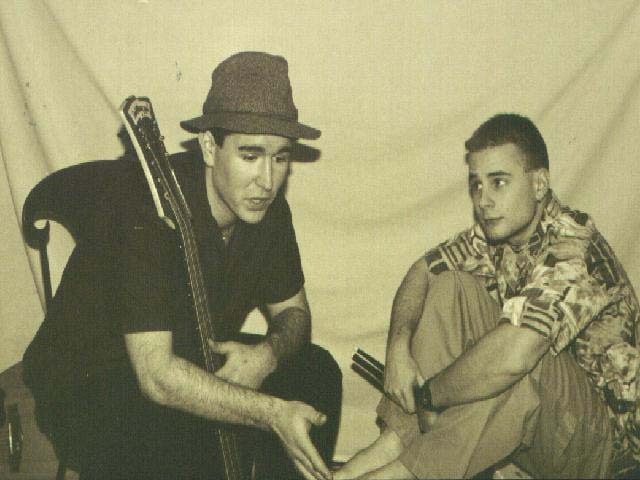 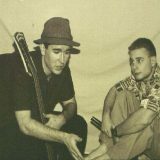 David didn’t know what he had until he spotted Les Claypool on the cover of a Bass Player magazine. 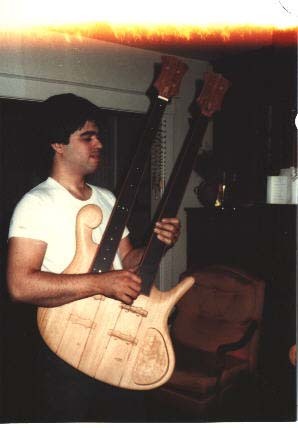 After a few phone calls to Carl the pieces fell into place and David realized he had an extremely rare instrument that was made in Carl’s apartment. 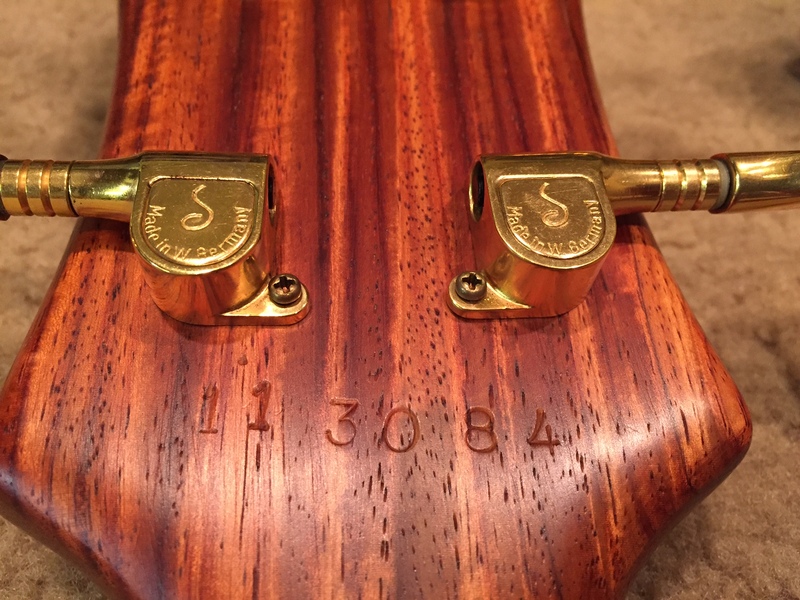 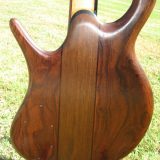 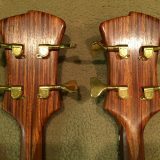 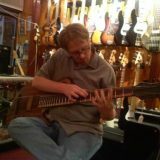 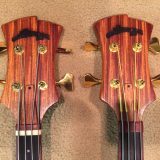 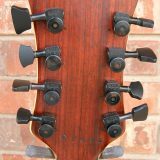 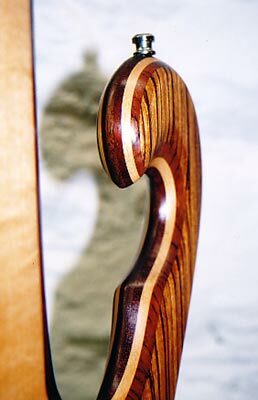 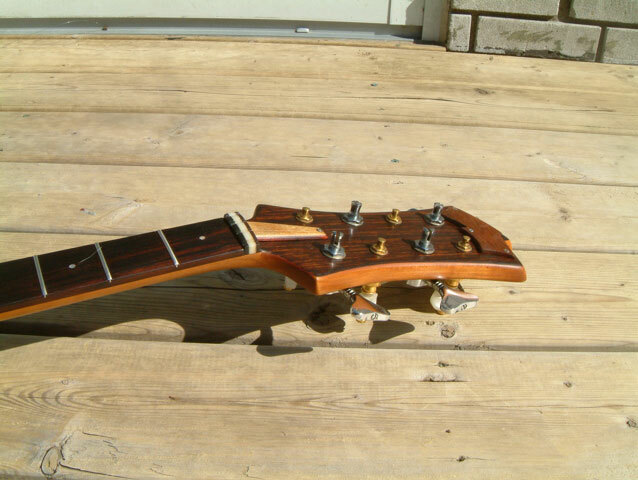 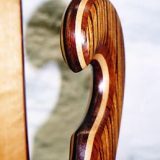 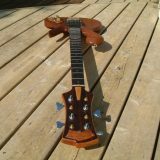 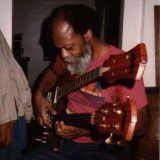 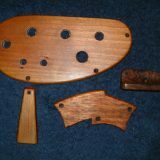 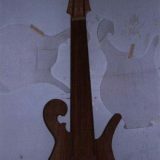 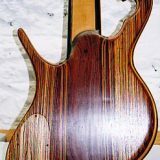 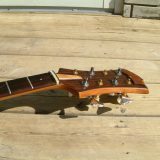 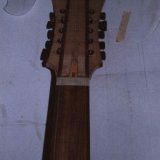 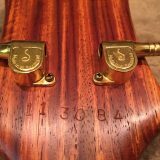 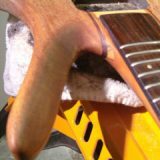 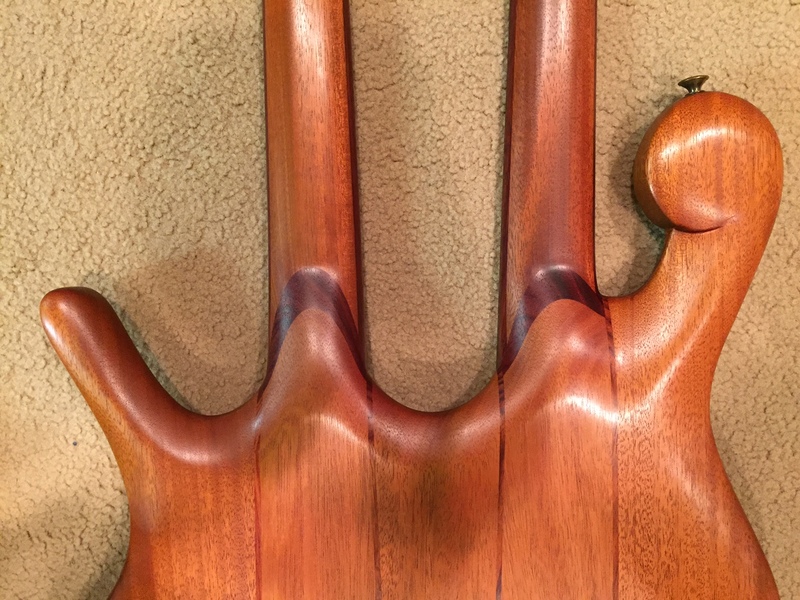 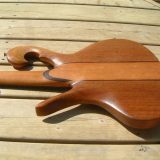 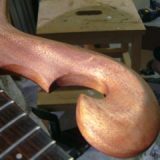 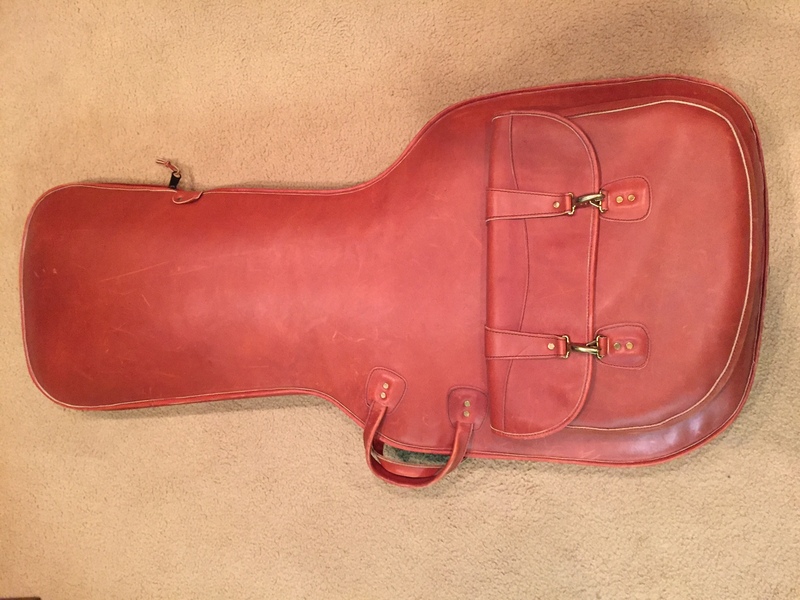 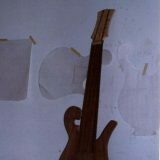 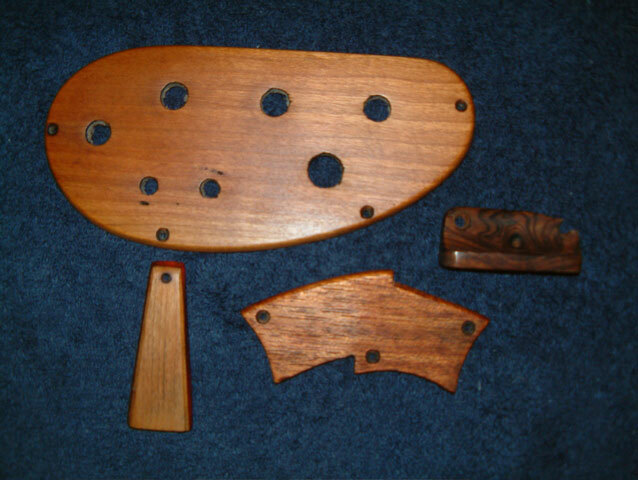 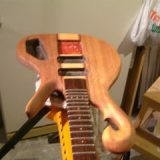 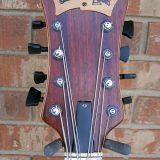 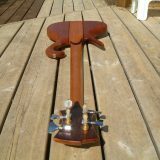 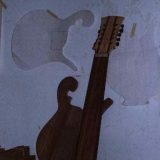 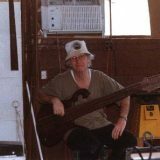 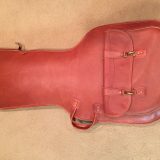 Having experience building and repairing instruments, David set out to restore the instrument which had since been stained and given a polyurethane finish . 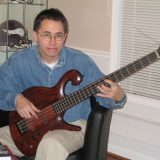 After about 4 months of hard work David had the bass back in excellent shape and a new nameplate courtesy of Carl. 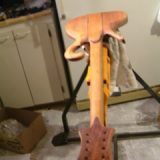 Amazing work, David! 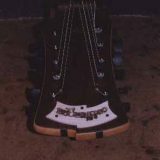 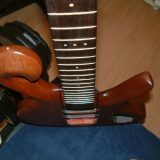 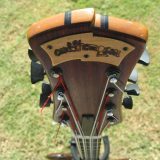 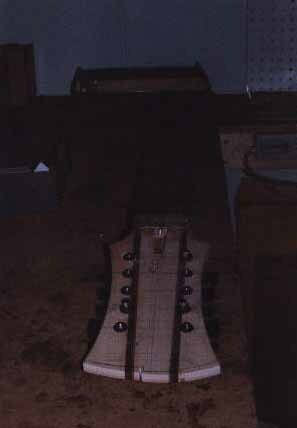 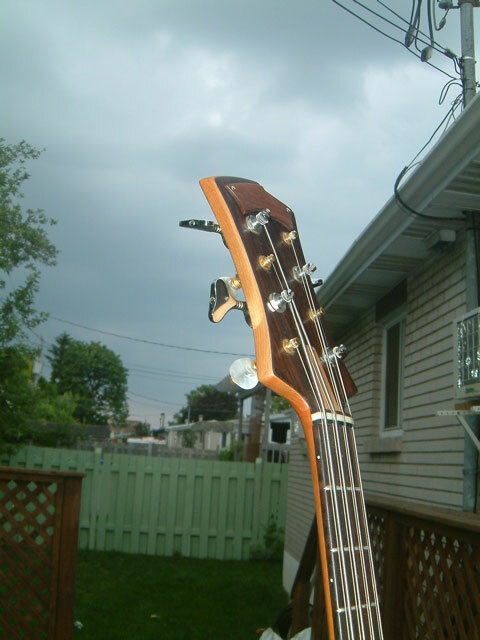 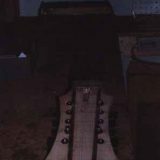 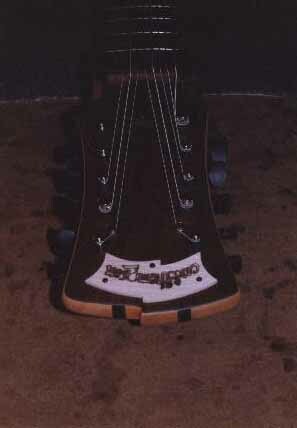 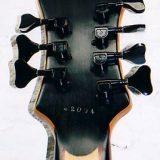 The one and only double neck Carl Thompson guitar, this is a 12/6 string owned by Mike O’Shea. 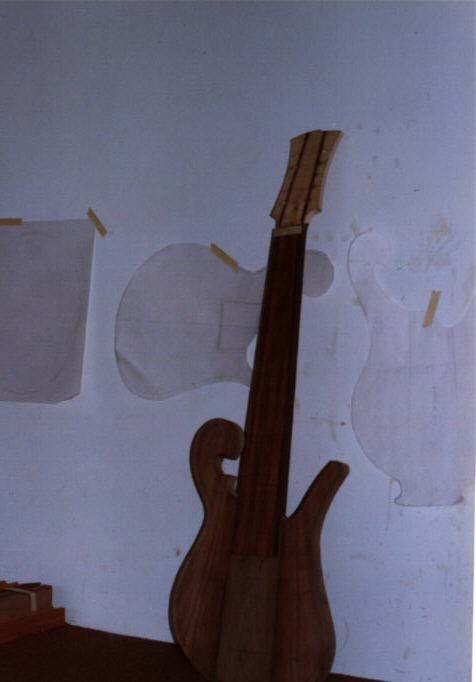 Pictures were taken during it’s restoration. 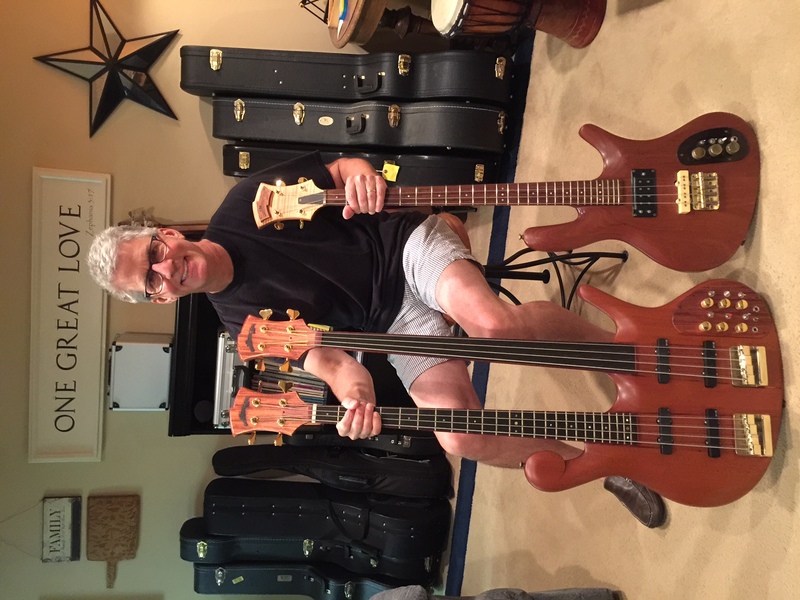 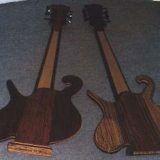 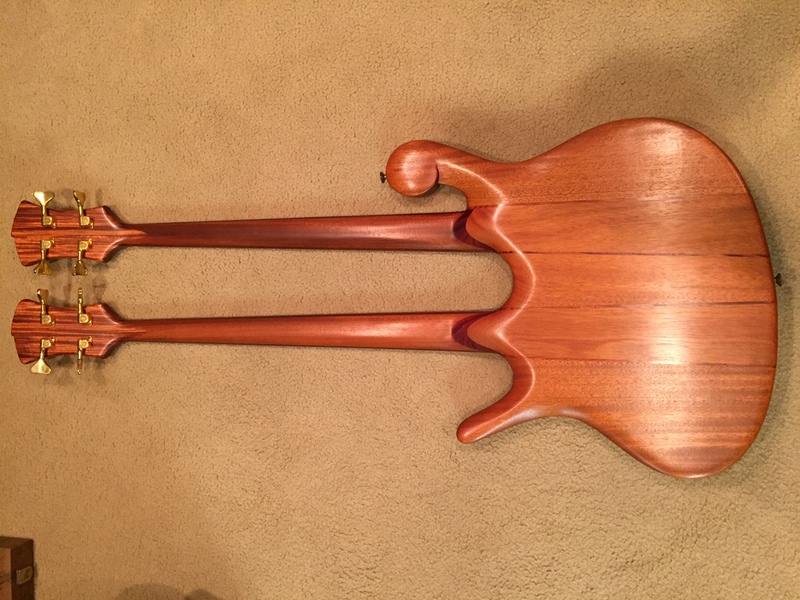 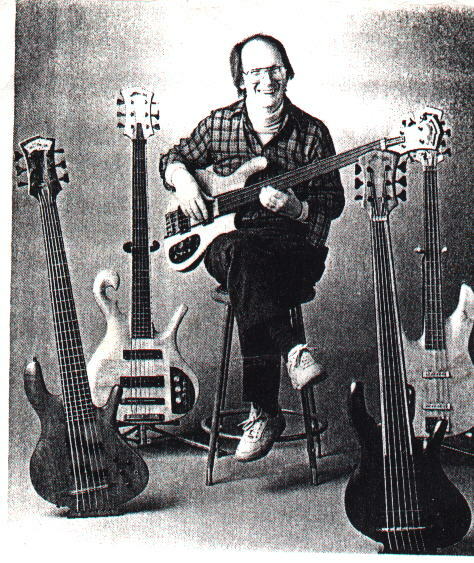 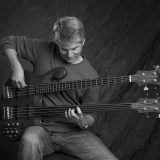 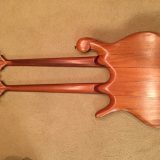 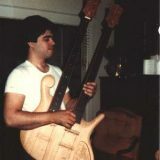 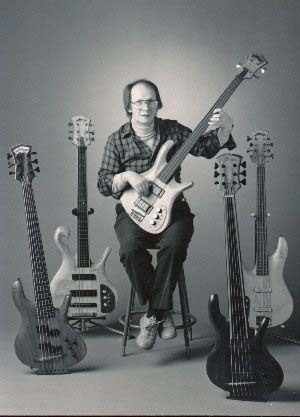 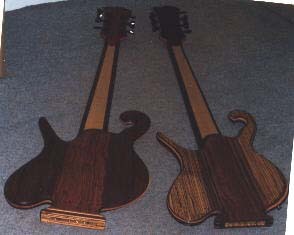 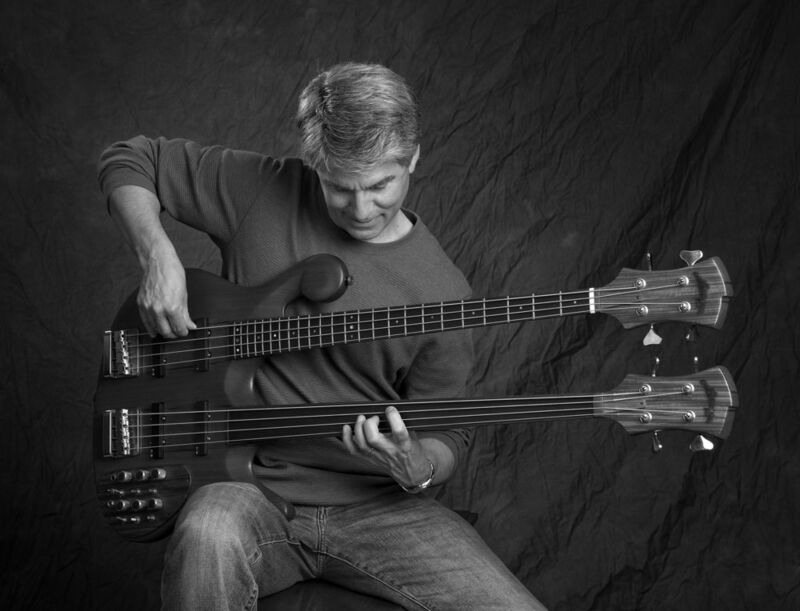 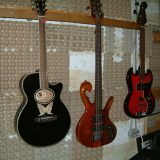 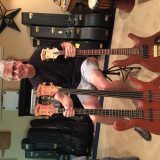 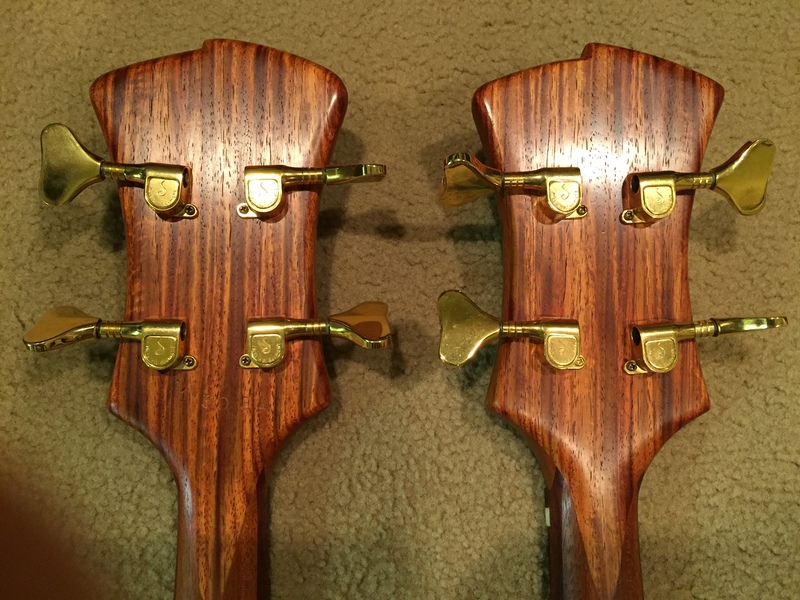 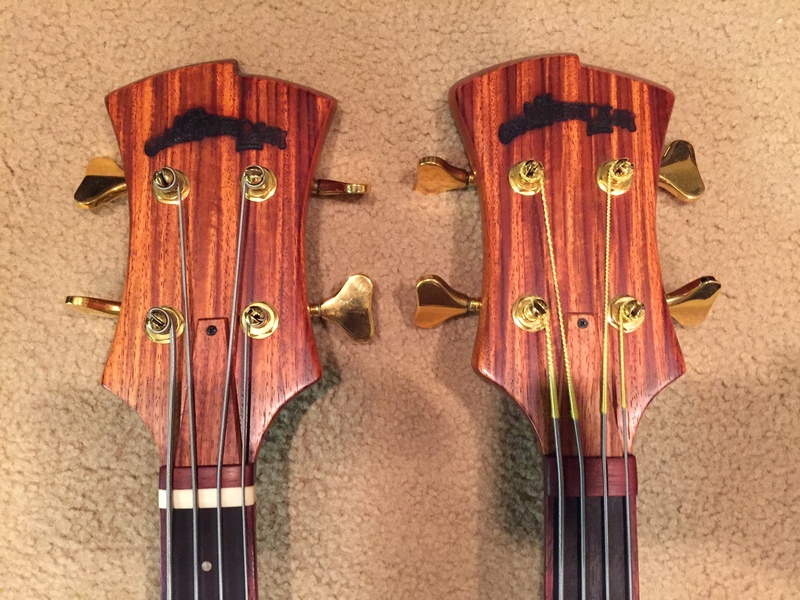 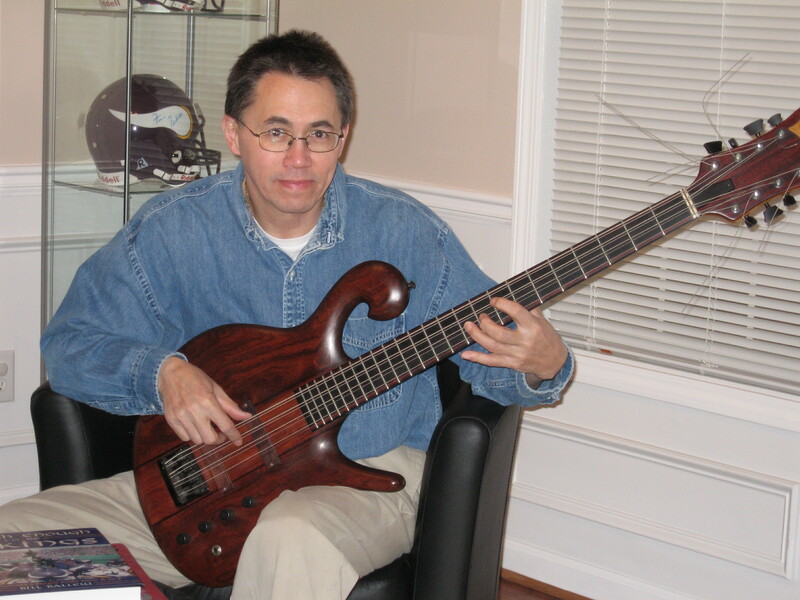 The bass Carl is holding is 2-5-80, while he curly maple 6-string is 2-5-77. 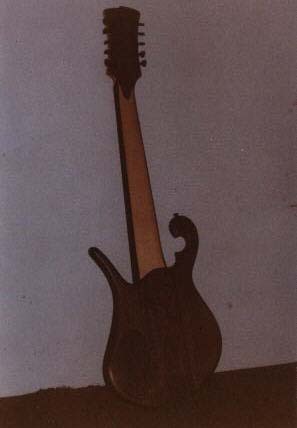 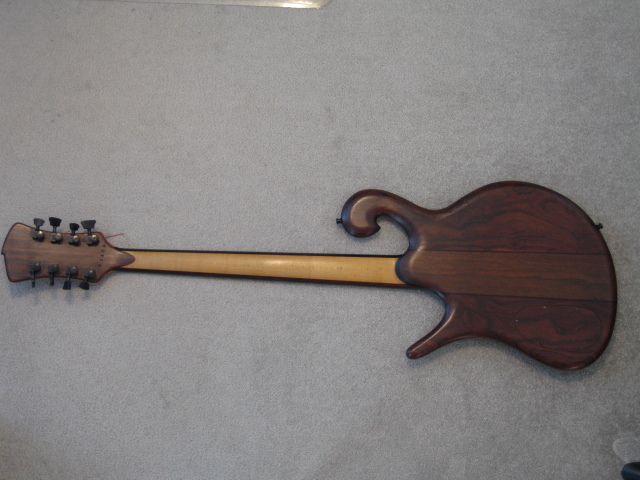 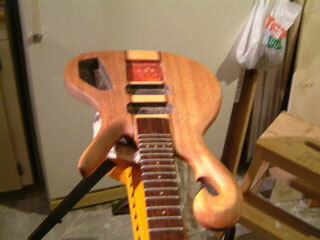 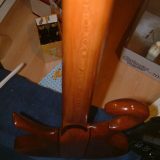 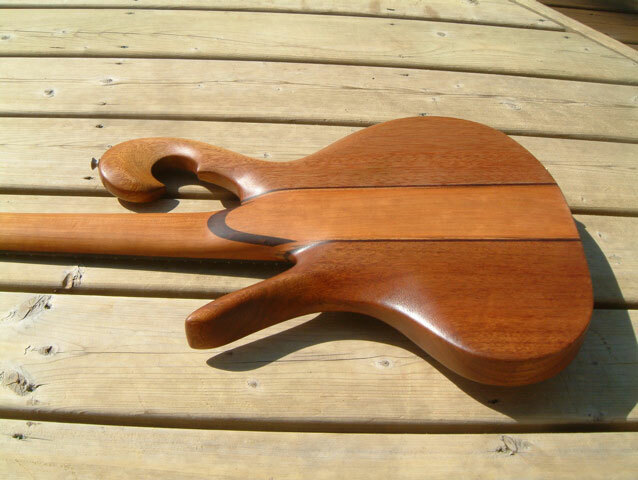 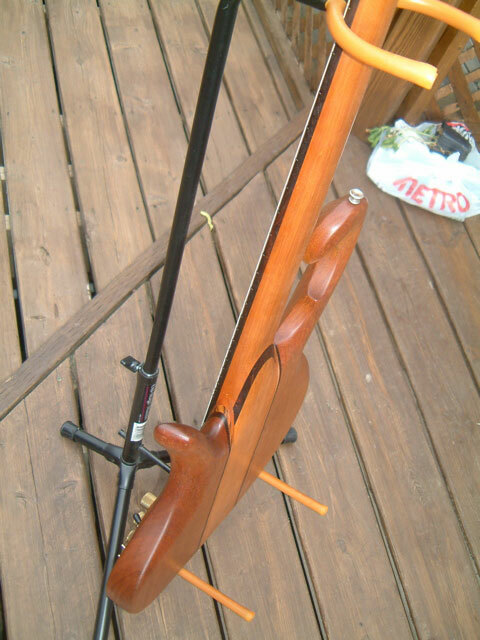 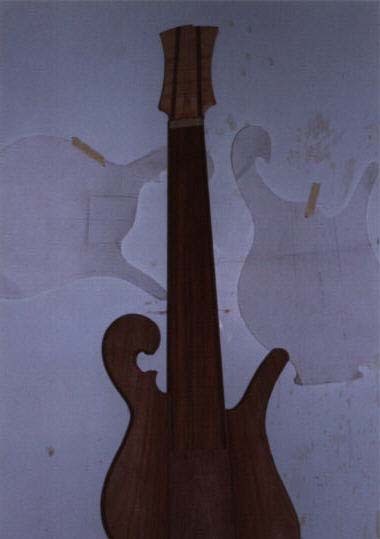 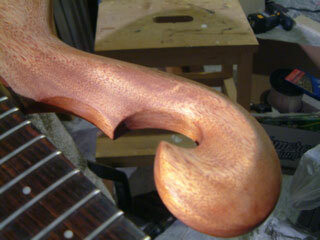 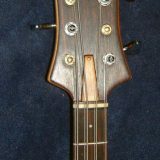 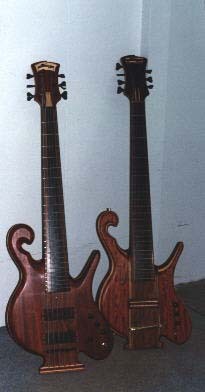 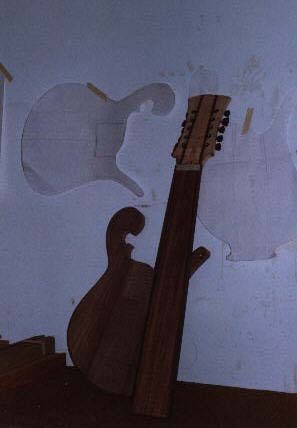 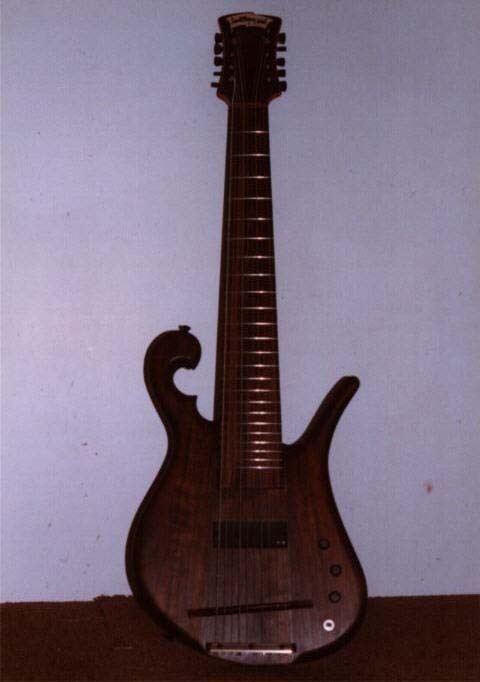 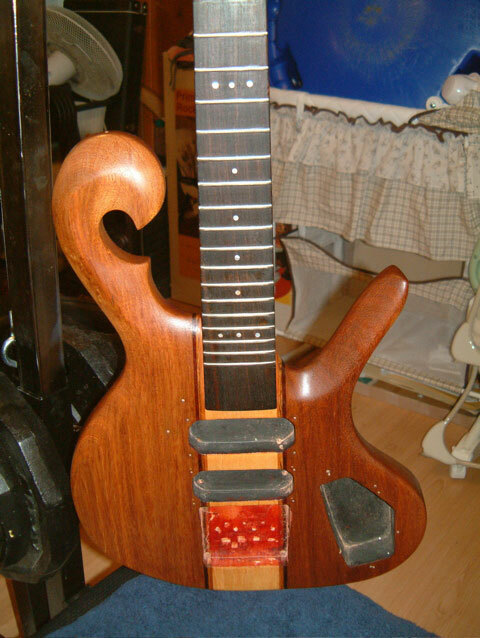 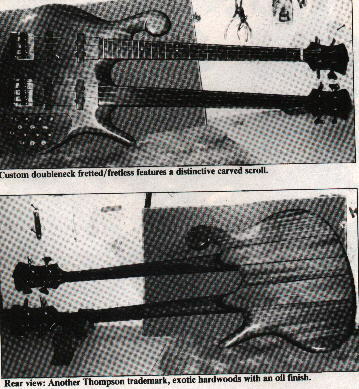 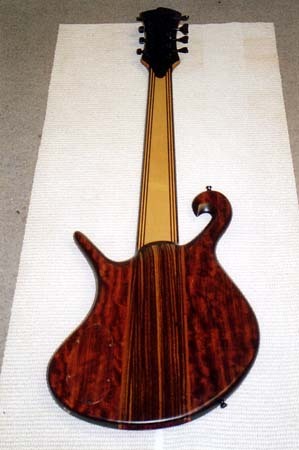 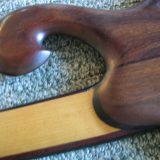 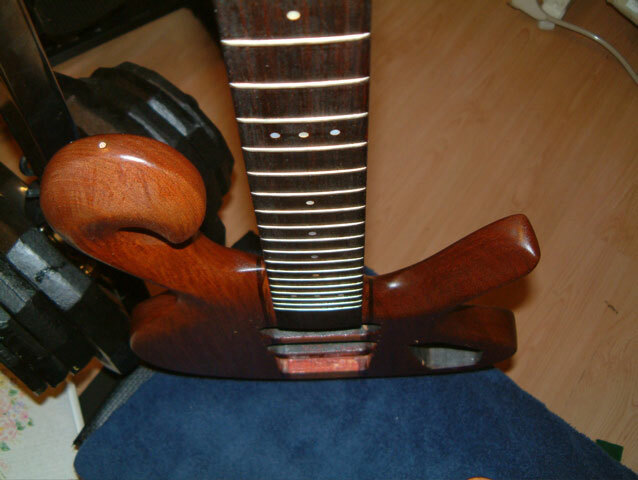 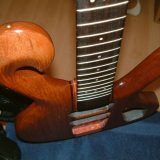 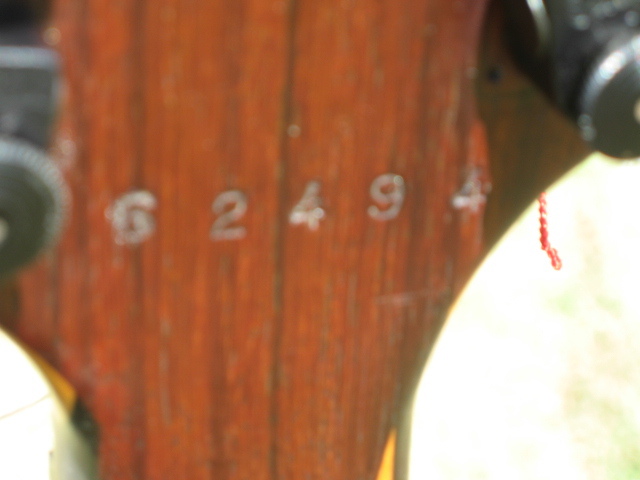 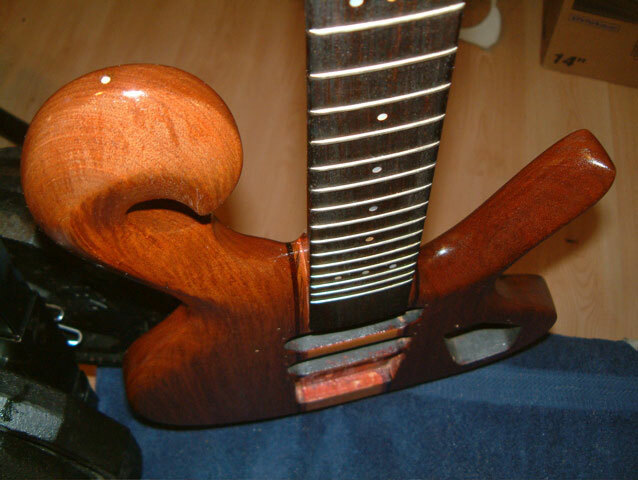 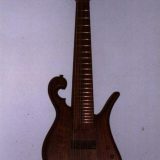 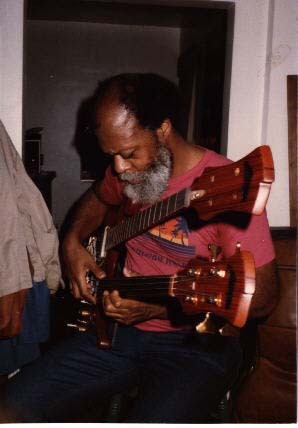 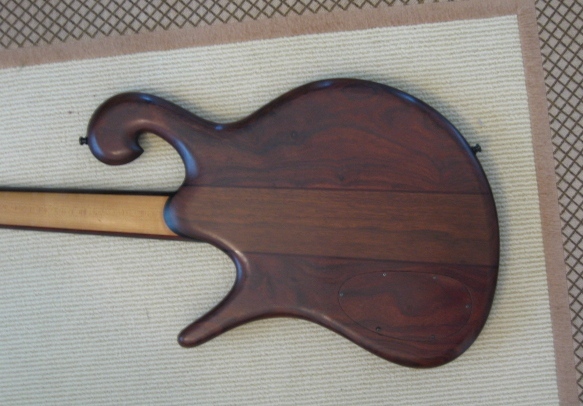 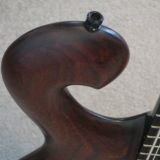 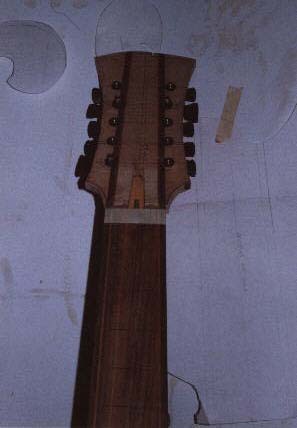 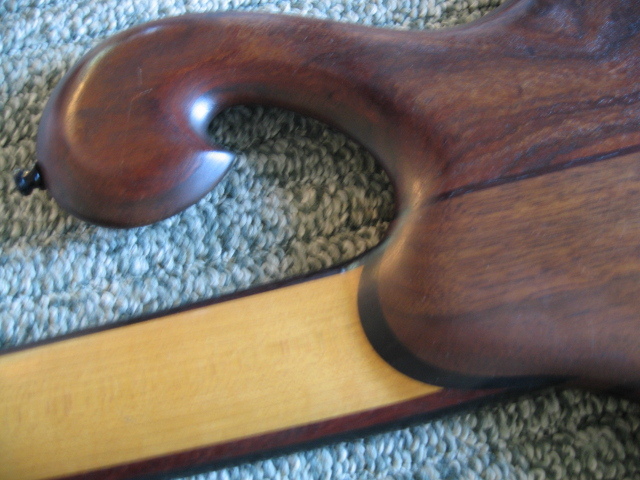 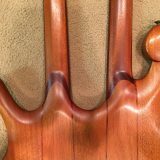 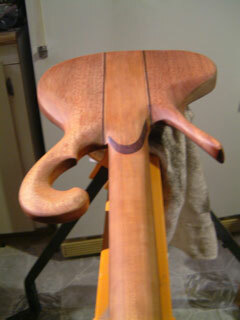 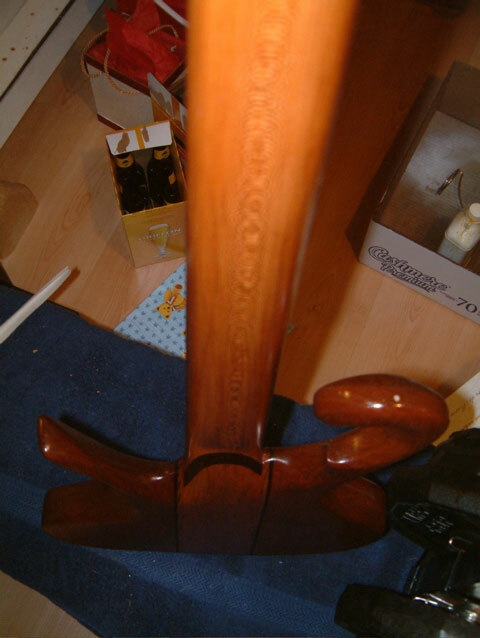 The fore-most 6-string is a padauk bass likely made in 1988 or 1989 (’80s_1′ on the 6-string page). 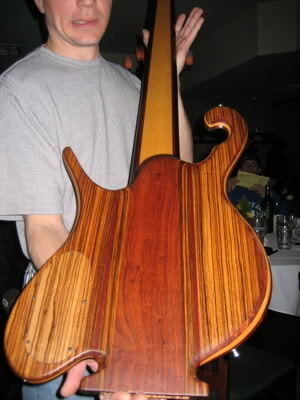 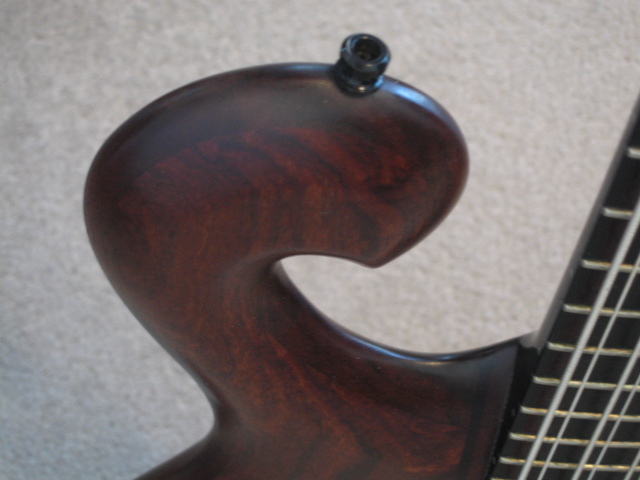 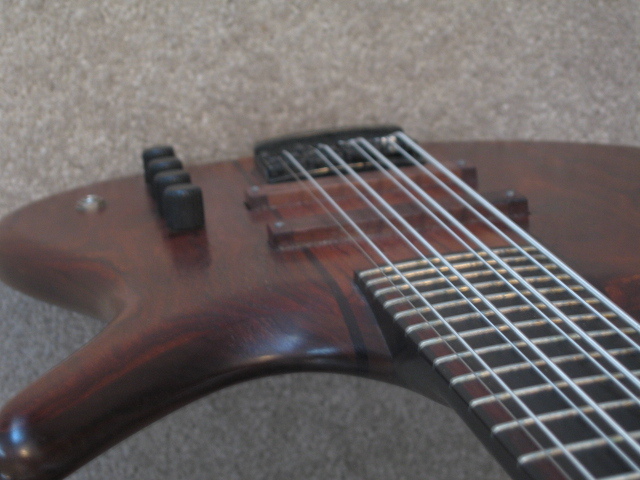 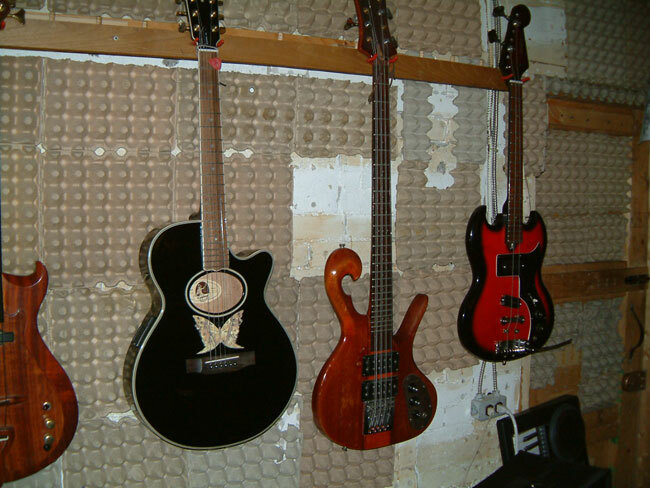 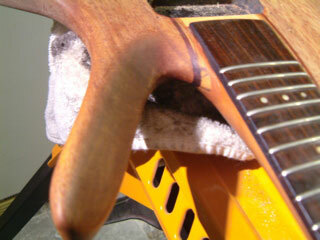 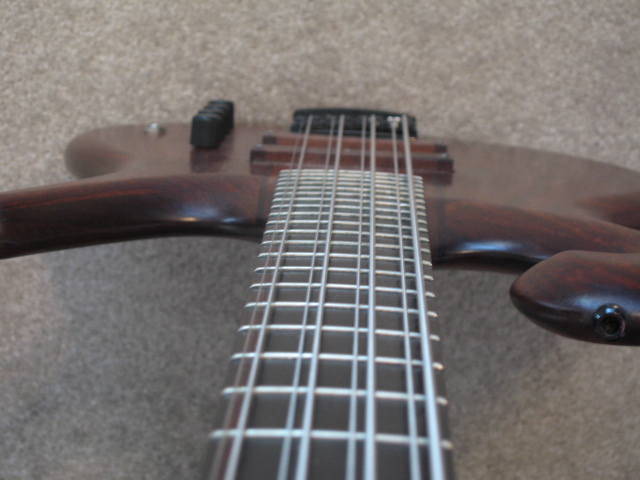 This entry in the photo gallery is also a placeholder for the left-handed 8-string bass.